Looking for some good websites that provide curated educational documentaries? The collection below features some of our favourite options. These are platforms where you can get access to a plethora of documentaries spanning different topics and subject areas. You can browse through categories, pick the ones you want and share with your students. 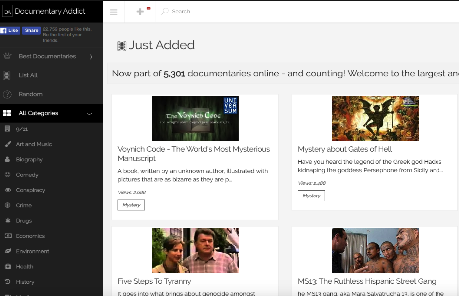 Documentaries come in with a short written synopsis and an embedded clip usually from popular video hosting sites such as YouTube and Vimeo. If your school blocks YouTube you probably will not be able to watch some documentaries from these sites. Documentary Heaven features a wide variety of documentaries covering various topics. Documentaries are arranged into over 30 categories from Education and Human Rights to to Science and War. 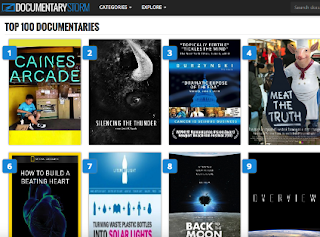 The ‘Popular This Month' section features trending documentaries for the month. You can also check the ‘Top 100’ tab for a collection of the most popular documentaries in the site. This is another good website that curate educational documentaries from different online sources. 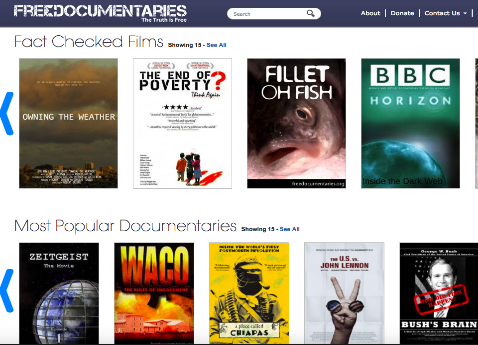 You can use the integrated search functionality to look for a specific documentary or browse the collections by category. 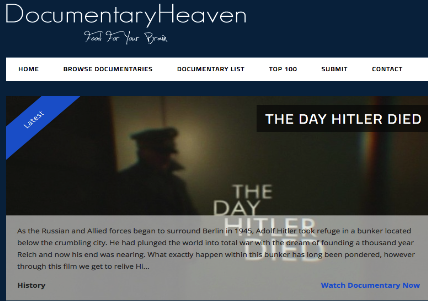 Similar to Documentary Heaven, Documentary Storm also has a section for the most popular documentaries which you can access under ‘Explore’ menu. There is also a section called ’New Arrivals’ featuring the recently released documentaries.